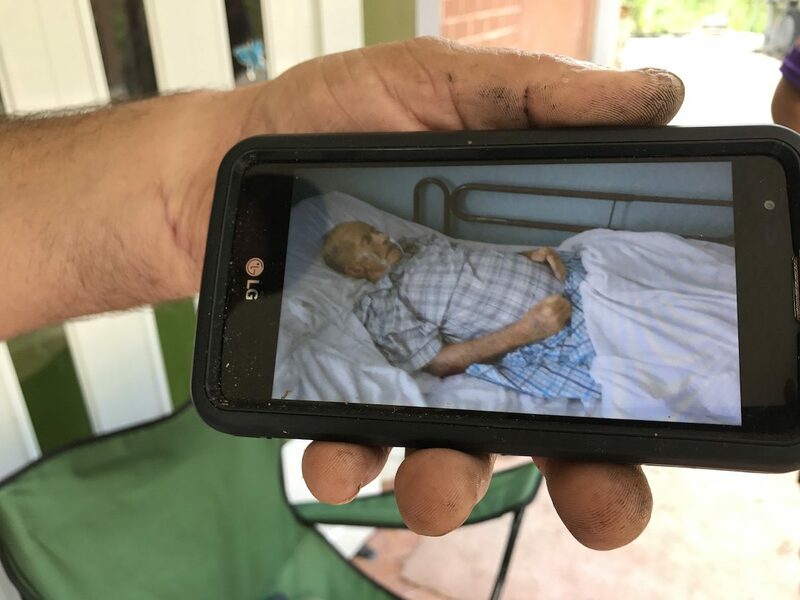 Teodoro Colón Rodríguez's son-in-law shows a photo on his phone of his father-in-law's corpse three days after his death. All one needs is to visit town halls, police stations, and funeral homes in Puerto Rico’s towns to find them. The doctors also recognize them, but privately. The government, however, does not want to see them. They refuse to document them. But in the last three weeks —through interviews with mayors, security officials and emergency management from the island’s municipalities, as well as interviews with relatives and a review of death certificates— the Center for Investigative Journalism (CPI) has identified 47 deaths related to the hurricane, in addition to the 55 officially reported by the government of Puerto Rico. This investigation shows that the government has revictimized the relatives of people who have died due to circumstances linked to the emergency, forcing them to comply with bureaucratic requirements at a time when the government itself failed to comply with its obligations and, like the rest of Puerto Rico, was not fully operational. Some of these victims’ family members even had to spend days with the corpse of their loved one decomposing in a home because the police or prosecutors never arrived to remove the body, as documented by the CPI. 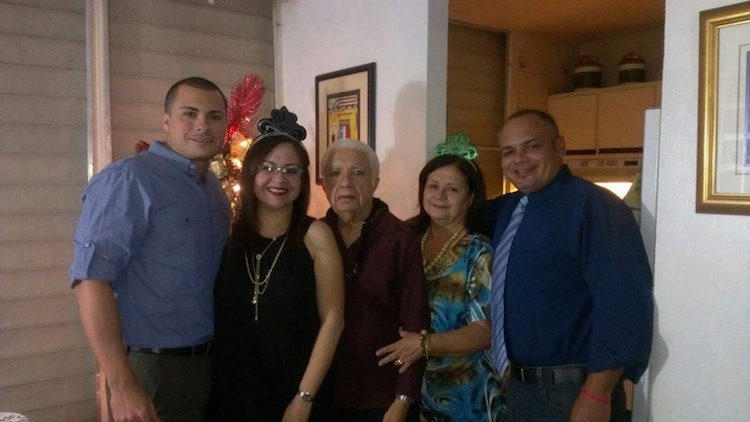 In addition to losing half of their home during the historic hurricane, Marta Rosa Colón, Ángel Luis Vázquez and their 12-year-old daughter also lost the patriarch of their family, 82-year-old Teodoro Colón. The elder Colón, who was recovering at home from a stroke he suffered the week before Hurricane María and was dependent on oxygen, died in the middle of the storm on the morning of September 20 in the room where he was staying with his daughter and granddaughter in Orocovis’ Damián Abajo neighborhood. That same day, once the winds died down, his son-in-law took a machete and some courage to walk into town for help. After walking for four hours through landslides, a rising river and thick brush, he arrived at the police station, where he was told that he could not move the body, and that police could not recover the body because the roads were cut off. At the town funeral home, Orocovis Memorial, they told him that they could not get the body either. Vázquez had to return home on foot, use a generator to turn on the air conditioning for the corpse, and move the whole family into the next room, as the home’s second floor was completely destroyed. The next day nobody arrived. Desperate, Vázquez walked back into town and went to the Emergency Operations Center to plead for help and —although there was no legal paperwork required to move a body— municipal first responders and the funeral staff agreed to help him. That same afternoon, a group of 10 men tried to reach the body to remove it out of the home, but the rains prevented them from reaching the residence, said rescue leader Willie Colón, who was also a relative of the deceased. On the third day, the 10 men returned at dawn and were able to remove the body —already in a state of decomposition— by carrying it and dragging it between landslides, trees and a flooding river so it could be buried. Neither policeman nor a prosecutor ever showed up to certify the death. In fact, the funeral home confirmed that there is still no death certificate because the Demographic Registry was not operating during those days. A doctor also never came, even though the elder Colón was a hospice patient at Aibonito’s Mennonite Hospital. As of today, the family still does not know the official cause of death, and the oxygen tanks and medical equipment, including a medical bed, have yet to be collected from the house. “My father-in-law did not deserve this,” said a visibly frustrated Vázquez. His wife Marta Rosa listened by his side. She had no words. Her husband had to tell the funeral home that he was responsible for any problem the could arise from moving the body without following a legal process, but he told the funeral home that the corpse had to be removed from their home. Carmen María Meléndez Aponte, 84 years old and a resident of Utuado, had worse luck. She died in her home on September 21, and her body was in bed for nine days because of the access problems caused by the storm. Her son, Juan Santiago Meléndez, reported that she had an apparent heart attack while eating He believes that her death was caused by the strong emotional reaction she experienced during the hurricane. Meléndez confessed that he was about to bury her in the courtyard, but was dissuaded by the police and the staff of the Utuado Emergency Operations Center. Instead, he wrapped his mother in sheets, fastened her with ribbons, and placed her on a bed to wait for someone to recover the body. The funeral home finally arrived when there was access. The death certificate listed the first cause of death as ischemic heart disease and then Alzheimer’s disease. The document does not mention anything about the extraordinary circumstances experienced by Carmen María due to the destruction of her surroundings by the hurricane. Salvador Rosa Montañez (center), with relatives as a Christmas gathering. On that same day, September 21, in Carolina, 72-year-old Salvador Rosa Montañez also suffered the consequences of the storm. The composer, journalist and public relations specialist was a Parkinson’s patient and had to follow a strict and liquefied diet. But after María, his family had to hand-grind his food because they had no electricity or generator. According to his daughter Myriam, Salvador had problems swallowing, and the family soon noticed that his condition began to deteriorate. They desperately called 911 for an ambulance to take him, but no one answered. When the ambulance finally arrived, the paramedic told them that Salvador was having a stroke and that the only place they could bring him to was the University of Puerto Rico Hospital in Carolina. There, they told him that they did not have the resources to take care of him properly, and that he had to be transferred to another hospital, but that they did not have an ambulance to transport him and the hospitals that could take care of him were not accepting transfers because they were all full. The family tried the Veterans Hospital in San Juan to admit him —after all, Salvador was a veteran— but that hospital told him they could not take care of him either. The pictures of terror that Myriam saw in the UPR Carolina hospital —with people lying all over the corridors of the overcrowded hospital, bleeding, shot— were like something from a movie, she told CPI. Myriam still left her father stable in the “little corner” they called “the intensive unit” and went home that night because the staff told her that she could not stay. The next day, when she came to visit her father, the curtain that separated other patients from him was drawn, and she found the stretcher empty. Salvador had died and no one had told her. 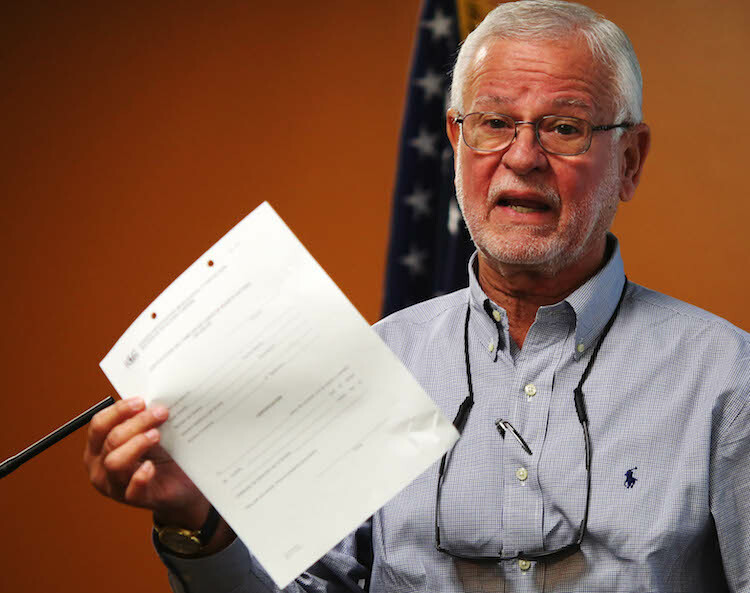 The body was cremated, and it is among the 911 cremations authorized by Puerto Rico’s Institute of Forensic Sciences (ICF) after María, which according to Secretary of Public Security Héctor Pesquera, had no connection whatsoever to the hurricane. “I got really upset when I was watching the [October 3] press conference and Donald Trump said the ridiculous thing he said and then the governor [Ricardo Rosselló] said yes, there are 16 [deaths caused by María]. I was offended because my dad is not being counted as a person who died in the emergency,” Salvador’s other son, Mario, said from Boston about the official death toll the government kept at 16 during the first two weeks after the hurricane. During his visit to Puerto Rico, Trump cited the “low” figure as proof of the alleged effectiveness of the response from the Rosselló administration and the federal government to the emergency. A week earlier, an investigation by the CPI revealedthat there were dozens of uncounted deaths, and that there could possibly be hundreds of additional deaths caused by María. “I want to be as fair as possible with the situation this country is going through. I am a fair person, but the treatment was that of a butcher shop,” he said, noting that the patients were lying on stretchers in the corridors and the institution, in his opinion, did not have the resources to care for them. His mother, an electrical engineer who was in good health, was dead four days later. Minutes before the death, the doctor told Rubén that her mother had leptospirosis. The young man, who describes himself as a person who loves his country, said that the experience and the way the government has handled the disaster —”burying” and “manipulating” information— has destroyed his hopes for Puerto Rico. “For me, the personal pain is so much that I really have surrendered to the apparatus of this country. Using words like ‘terrible’ and ‘evil’ falls short. The level of perversity with which they [the government] have handled this situation is incredible. They do not have the government capacity that this moment needs. This is a lack of respect. I really am convinced that after this, I will leave [Puerto Rico]. This robbed me of my mother and with it, any confidence that I may have in this country,” he said, visibly shaken. Last week, the government finally released death figures for September and they said that there 427 more deaths than in September of 2016. They also showed that in the 10 days after María, there was an increase of 43% in Puerto Rico’s daily average deaths. However, the government has not linked this significant increase in deaths to the hurricane and maintains the official number of deaths related to the storm at 55. The figures for October, when the post-hurricane emergency was still in full swing, have not yet been reported, nor November, as the majority of the population continues without electricity. The CPI has barely managed to visit seven municipalities to document the 47 additional deaths, which suggests a final count very different from the official one being reported by the government. In the Utuado police district, which includes Adjuntas, Lares, Utuado and Jayuya, there are 15 deaths linked to the hurricane, command press officer Graciela Margolla told the CPI. Since the hurricane, the Utuado Memorial Funeral Home has registered an increase of twice the usual number of burials, and owner Olga Sureda said that they are related to the emergency because the relatives themselves shard the circumstances under which their family members died. Suerda said that in the 19 years she has been working in the funeral industry, she has never seen anything like it. In Orocovis, mayor Jesús “Gardy” Colón reported four cases, and the CPI found an additional one, all linked to interruptions in health services due to the hurricane and lack of electricity. None of these deaths is on the government’s list. In Toa Baja, mayor Bernardo “Betito” Márquez also reported four cases. Only one is on the government list. For his part, the mayor of Yauco, Ángel Luis Torres Ortiz, told the CPI that he counted 12 deaths that occurred in circumstances related to the emergency in the week after Maria struck, but the government’s official list does not include one case from his town. “Our area hospital was without electrical service and on two occasions its electric generator collapsed. FEMA had to come to our city, take possession of the hospital and make some transfers,” admitted Torres, who also indicated that the 12 deaths at the moment have been certified as natural, but they were not scientifically evaluated. There are proven methods worldwide to scientifically document deaths caused by disasters and emergencies, including the study of the different variables that influenced all deaths during an emergency’s duration. But Puerto Rico has decided to do it in its own way: without structure, without scientific methodology and without rigor. Instead of assigning the task to the constitutionally responsible department —led by the Secretary of Health, Rafael Rodríguez Mercado— to conduct this scientific study, or recruiting the epidemiologists of the Centers for Disease Control and Prevention (CDC) —the federal government’s top experts on this matter— Rosselló left the matter in the hands of Pesquera, who argues that in most cases only death certificates will be used as the sole method to determine if deaths can be linked to the hurricane. This, despite the fact that for more than a month, Pesquera himself acknowledged to the CPI that doctors have not been making any notes related to Hurricane María in those documents, where they only indicate the clinical reason for the death. Rosselló did not answer questions that the CPI sent him by e-mail about the decisions he has made regarding the handling of deaths related to Maria. Héctor Pesquera, Secretary of Public Security, at a press conference about the certification of deaths. These cases amount to 80% of deaths in Puerto Rico during the post-Maria time period, and they will mostly not be analyzed under the process followed by Pesquera and his team. The families of the deceased will not be interviewed, because agencies do not have the staff to do so, Pesquera said in an interview with the CPI. The only cases being investigated by autopsies, external exams or interviews with relatives are just a portion of those that arrive at the ICF, which from September 20 to October 30 were 338—even though the deaths in Puerto Rico in September and October that have been officially recorded so far are at almost 5,000. In addition, funeral homes owners report that the ICF is dispatching the cases with atypical urgency (three or four days), when before the hurricane they took a week—practically twice the time with less volume of deaths to investigate. In general, the process to count and publicize the deaths related to Hurricane María has been marked by statements that have turned out to be false, and by a continuous obstruction of access to information by the government. For example, Pesquera said last week that “the CDC is the one that decides” the final cause of death in Puerto Rico. However, in reality, according to Law 24 of 1931, the Department of Health and its Demographic Registry are the ones responsible for this task on the island. This is the case in all states, said Murad Raheem, emergency director of the federal Department of Health for the New York Region, which includes Puerto Rico. The island used the CDC’s support for the electronic processing of death certificate data before María, but the government has not requested specific help from the agency’s team of epidemiologists to document the deaths linked to the hurricane, despite the fact that the service is free, Raheem confirmed. In addition to not giving the press the information on deaths that were recorded after the storm and full demographic information that would allow for more analysis, the government never announced publicly or to the media the establishment of the “Temporary Procedure for the Disposal of Corpses in Hospitals,” a matter that affected hundreds of families, while it did make daily announcements of other issues, such as the disposal protocol for dead animals. The CPI received the corpses protocol from other non-governmental sources. Hospitals have been and will be a key factor in deaths related to the hurricane because a large part of the population went to these facilities due to the loss of power. But those institutions were also seriously affected by the same problem, and by the lack of medicines and personnel. Six days after María passed, Secretary Rodríguez Mercado told the CPI that only 18 hospitals or 70% of the 69 hospitals on the island were open, that the mortuaries were full, and that the circumstances that the institutions were going through were a factor in these deaths. It was the last time he spoke publicly on the subject of deaths after María, despite the fact that the CPI has requested an interview with the doctor for the past month. Since then, the issue was delegated to Pesquera. “With respects to the hurricane [there are] 19 deaths so far, which the governor reported, but they have also made mass graves. We were informed that there are people who have buried their relatives because they are in places where help has yet to arrive. They have reported six to seven cases as well. Remember that many people died because of medical problems because medical help couldn’t arrive on time. They were left isolated. And once in a while, we hear about people who were isolated and being rescued. Remember that this has been something very disastrous, and you have to tell the truth as it is,” Rodríguez Mercado said six days after María hit. The state epidemiologist, Dr. Carmen De Seda, has not commented on the issue or in press conferences. The executive president of the Hospital Association, Jaime Plá, said that it is false that 51 hospitals had closed after María, but could not offer a figure of how many were operating the day after the hurricane. “That number is dynamic,” he answered the third time he was asked the question. That same week, Pesquera told the CPI that it was false that the mortuaries in the hospitals were full. At the press conference held last week, Pesquera blamed doctors and relatives for the failures in accounting for the deaths, stating that it is their responsibility to ensure that any circumstance linked to the hurricane, which contributed to the death, is included in the death certificates that the CDC automatically processes. He also said that there were 29,000 doctors in the country, when in fact there are around 8,000. Plá assured in an interview with the CPI that he has not given instructions to the hospitals or to the country’s doctors on how they should fill out the post-María death certificates. Doctors interviewed confirm the version that nobody has informed them that they fill out the certificates in a different way since the storm. “The diagnoses for which someone dies do not include María. People die by some specific diagnosis: a heart attack, a stroke, a heart failure, respiratory failure, an embolism… And the doctor cannot make a determination that María caused that. Therefore, I cannot, which is what I have always told the whole world, state how many María victims we had directly. We can think that many people were affected by María, but we cannot say how many deaths there were because the official diagnosis is a medical diagnosis, not a diagnosis of an event. It is not the same case of a war, where the dead are accounted for by the shooting that took place and the corpses that they collected. So I think that yes, there were people that the same atmospheric event created a circumstance where they could have died, but the diagnoses are others. So I cannot really say how many deaths we can relate to María,” Plá said. This explains why only three of the death certificates that the CDC has analyzed say the word “hurricane,” a figure that was provided last week by the Director of Quality and Statistics at the Demographic Registry, María Juiz. A home in Toa Baja, Puerto Rico, after Hurricane María. “Acting responsibly, from the hospitals’ point of view, I cannot ask hospitals to make a determination that the diagnosis of death was related to anything other than a medical issue, because that is the way it has always worked,” Plá explained. 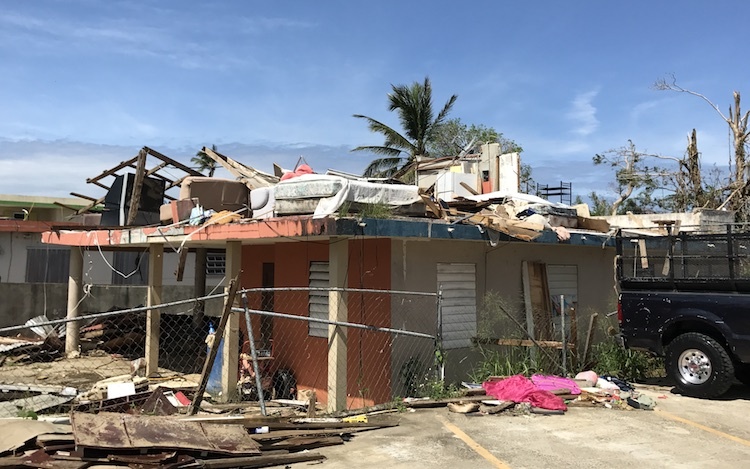 Both Pesquera and the Director of the Demographic Registry, Wanda Llovet, have stated that they sent the CDC Guidelines to the Hospital Association to complete death certificates in cases of disasters and hurricanes. Llovet even provided a copy of the email in which she sent the document to the Association, to Plá, and to the Funeral Association of Puerto Rico. Plá told the CPI that he does not remember seeing the document, but that some guidelines do not change the law, and that if the government wanted to implement a new protocol to modify the way death certificates were completed during the emergency, he should have spoken with the Department of Justice before a new protocol was announced, and that Rosselló had to issue an Executive Order or legislation that changed the current law. “Regarding any directive that the government wants a health institution like hospitals to comply with, we need to have known directly from the government, from whatever institution, specifically what it wants and what steps are taken out for that. There have to be guidelines on why the protocol is changing. If the protocol is being changed, there must be evidence of how it is going to be handled. It must say exactly why they want it to be done, and there must be circumstances where it is either an executive order or a directive or a change in law, because most of the hospitals are governed by the legislation that has been in force, by the regulations that have been established and by the protocols that have been used. If you want to change the law, the procedures or the protocol, there has to be a special justification of how it is done, but hospitals cannot invent it for now,” Plá said. Based on his research, Dr. Cham Dallas, director of the Institute for Disaster Management at the University of Georgia, said that unfortunately, politics usually influences the way in which deaths are quantified and how information is made public during catastrophes. “I do not want to say that the government wants to hide the numbers, but I would say that it wants to look at them for a long time before making them known. This is the reason why they need scientists in charge and studies, not politicians and policemen. This situation is not unique to Puerto Rico. It is a common problem in places that experience disasters. There is always a political problem. No matter where you go, getting the data [from the deaths] is always a big problem,” he said, recalling the case of Hurricane Katrina in New Orleans. Katrina struck Louisiana in 2005, causing massive flooding after the hurricane passed and the city levee broke. The event resulted in over 1,000 deaths, according to most studies, and the displacement of more than 250,000 residents. “Eventually the truth almost always comes out,” he added. A professor of public health disasters and emergency medicine at the University of Georgia, as well as a professor of epidemiology at Emory University, Dallas said that accurately determining the death figures related to disasters is difficult but viable, and something that is done continuously around the world because of the importance of this information to stop more deaths and prevent deaths in similar future events. As Dallas indicated, epidemiologists are the only professionals prepared for the task of considering variables in all the deaths that occur from disasters and the ensuing emergency. In his opinion, Puerto Rico’s emergency will continue at least until all the power is restored. Each variable is given a weight in the formula to determine if a death is linked or not linked to a state of emergency. In his interview with the CPI, although scientists differ in the weight that should be given to each variable, as is usual in science, they do agree on the variables that have to be taken into consideration. Among them, the most important are the complete medical history of each individual (both immediate and historical); the health history of the population and its average death rate; the living conditions and the environment of the deceased prior to the catastrophe and how they changed’ changes in the temperature and humidity of the environment; the person’s socio-economic level; and the level of stress caused by the emergency in that person. “Stress is a huge factor. Waiting in line for food, waiting in line for fuel, all this waiting in lines is very stressful, and some people manage stress better than others,” he said, explaining that in the deaths of heart patients, for example, this is one of the easiest factors to quantify. Violence is also a factor, because if the murders doubled after the disaster, as it happened in Katrina, there was a significant change in how New Orleans and its residents responded to the emergency. “All the problems that people have in their lives, be it their marriage or their work, get worse in these circumstances and push people off the cliff,” Dallas said. Other parts of the population that must be analyzed in a segmented manner are the elderly, children and mothers with small children—particularly single women, who have felt particularly vulnerable in disasters around the world. In Puerto Rico, a determining variable in the loss of lives will be the lack of electricity, Dallas predicted. When asked how he would approach the crisis, Dallas offered his explanation. “It’s easy to stop counting victims in a crisis. Stop talking about those who left, stop counting forgotten and vulnerable people, those who do not have anyone to take care of them,” he said. The first question he would ask himself is this: Are there still victims left to count? This would identify the segments that need attention. For his part, Puerto Rico’s former Secretary of Health, epidemiologist Johnny Rullán, who has worked with the CDC in the past and participated in the assessments of deaths linked to Hurricanes Hugo and Georges, said that the deaths must also be segmented and analyzed—those that occur before, during and after the event. Because of Hugo, there were no deaths before, two sailors died during, and there were 10 after (almost all electrocuted), he said. “A full investigation was made, and then we changed the law so that they could not turn on a generator without turning off the central switch in your house,” Rullán added. During Georges, the majority of deaths were also afterwards, but due to carbon monoxide generated by badly-placed generators. “Secretaries of Security or Public Affairs talking about deaths and saying how many they are, that’s completely… it’s out of their department. That corresponds, in my opinion, to the Secretary of Health with a complete epidemiological study,” Rullán noted. “There must be a lot more deaths here. Those disappeared must have died, many of them without being known. Leptospirosis is like a cold and like a dengue, that you think that nothing is going to happen to you and then suddenly you die. I do not know how many deaths there have been due to leptospirosis, but the number has to be greater than seven, according to my criteria,” he said. “For me, we were not prepared for a government cabinet of people without experience. I’ve been seeing this for years, and we do not require any type of training for officials who gain power. In fact, those deaths that occurred, in my opinion, most are liable, because they sent the test to the United States, which takes eight days, and everyone knows that 10 percent of the people who get advancing leptospirosis, they die, they die in about four days. So you cannot expect a result in eight days if you die in four,” he concluded. Another case that needs to be investigated in depth, Rullán said, are the floods in Toa Baja and its consequences after Lake La Plata’s floodgates opened with little notification at times when it rained and there was runoff related to the hurricane. Mayor Márquez confirmed to the CPI that the alarms did not ring and that the Aqueduct and Sewer Authority did not warn them either. There, three people died on the day of the hurricane, according to the cases documented by the official. “In regards to the deaths, I would have brought in the CDC disaster group some time ago, analyzing all the pathologists in all the hospitals with all the deaths and putting logic to how someone died—before, during or after. One does it with people who come from the CDC. They know because they were in New York, people who specialize in disasters and use the deaths to prevent the next ones,” Rullán argued. According to Dallas, it is crucial to study what constitutes the longest blackout in the history of Puerto Rico and the United States. Currently, he is working on a study to project how the death rate would increase due to lack of electrical power if a nuclear war with North Korea were unleashed. “We have never seen anything like this. This is important and the reason why we have to investigate what is happening is because it will happen again in Puerto Rico, and it could happen in the United States as well,” he said.